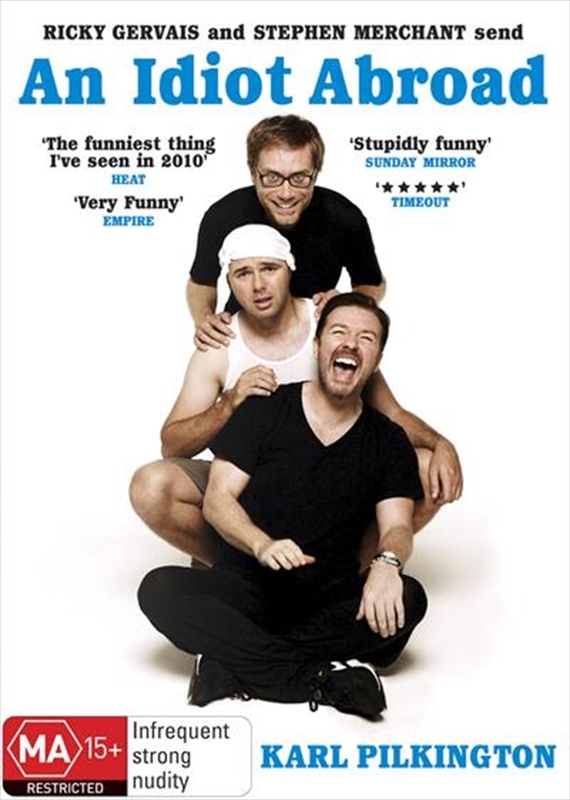 In this hilarious series Ricky Gervais and Stephen Merchant send their friend Karl Pilkington around the world...against his will. Karl thinks hes visiting the Seven Wonders but along the way the Little Englander must endure camel rides, jungle treks, tribal customs and local oddballs while dining on toads and testicles! ..and searching for a decent lavatory. How does a man who prefers a caravan holiday in Wales cope with being an idiot abroad? Special features include The Preview Show, deleted scenes and a photo gallery.